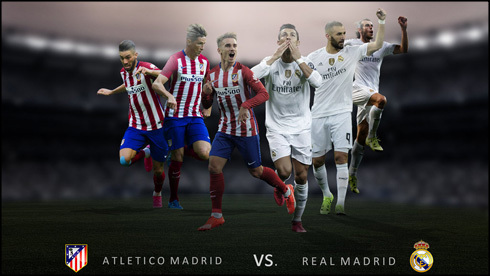 ﻿ The Madrid derby returns. What to expect at the Calderón? 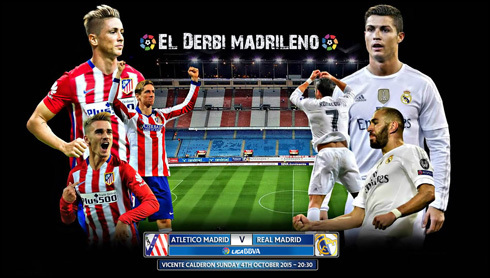 02.10.2015 » The Madrid derby returns. What to expect at the Calderón? It might not be the biggest game in Spain, but a clash between Atletico and Real Madrid is always a show stopper for any football fan out there. It's one of the most heated rivalries in sports' history and it's no secret that winning on Sunday could have an enormous impact in the remaining of the season. With 8 games played so far this season, Atletico seems to still be struggling to find their best version. Diego Simeone's men were already defeated in 3 different occasions and they'll be coming into this Sunday's derby against Real Madrid on a 2-game losing streak. On the other side of the barricade comes the all-mighty Real Madrid. With a new manager pulling the strings since July and new ideas slowly gaining shape, the Merengues appear to be on the right track to challenge for all titles this season. They've unbeaten in their previous 8 fixtures, with 6 wins and 2 draws so far. 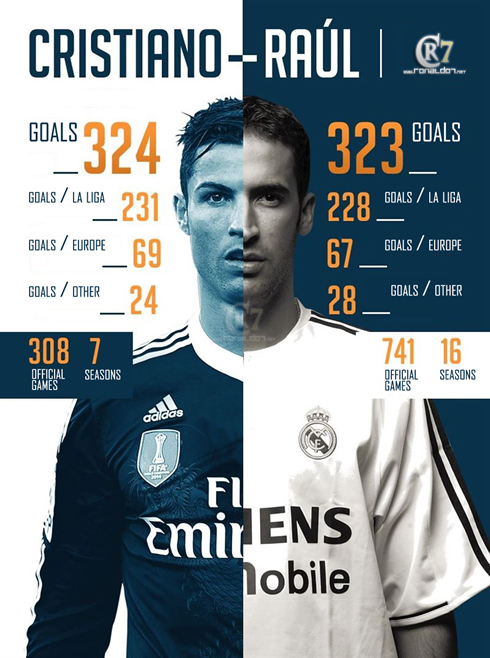 One of the biggest differences when we compare their current form with their records in past years, is how solid they've been playing at the back. Keylor Navas has been key ever since he was given the chance to be in goal consistently and Madrid have already kept 7 clean sheets in 8 games so far. On top of that fortress, Ronaldo keeps feeding his hunger for goals and has already found the back of the net 10 times in 8 appearances. For a start, we can all be certain that a very intense and competitive game awaits us at the Calderón. More than anyone else on the field this Sunday evening, Diego Simeone will know vital this game can turn out to be for his men and how much of an impact it can have in the rest of the season. It's that kind of night where aggressiveness levels are taken to the extreme and that's precisely the game Simeone plays best. Arbeloa: "We know that for Atletico, this Sunday's game will be their most important of the season", stated the 32-year old. Gabi: "Game of the year for us? Arbeloa certainly haven't seen us playing lately. We'll try to win the match like we always do and I believe we are well prepared to succeed", replied the Spanish midfielder right the day after he was confronted with Arbeloa's comments. One of the good news ahead of the derby is that we might see several crucial players from both teams returning from injury. Real Madrid has been struggling a bit more in that department lately, but the truth is that Benítez also has at his disposal a far more deeper squad than Simeone. Atletico has basically only been deprived of Koke for the past few weeks, but the truth is that the Spanish midfielder's absence has been strongly felt. The 23-year old has already returned to training and if everything goes according to plans, he might make his comeback to the Colchoneros's lineup right in this weekend's derby. Madrid on the other hand, has had quite a nightmare in regards to injuries. James Rodríguez, Gareth Bale and Sergio Ramos have all missed the team's latest fixtures due to fitness problems, but they might actually all return this Sunday against Atletico. There's a good chance not all of them will make it to the starting eleven, but they should at least be fit and eligible for Benítez. Danilo's recovery will probably still take a bit longer, so he'll be the only Merengue sidelined for the derby. 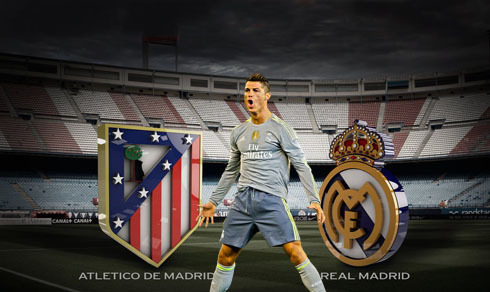 Cristiano Ronaldo next game will be for Real Madrid on the 4th of October of 2015, against Atletico Madrid. You can watch Juventus live stream, Atletico Madrid vs Real Madrid, Sevilla vs Barcelona, Manchester City vs Newcastle, Chelsea vs Southampton, and Crystal Palace vs WBA, all matches delivered in our live soccer game pages.